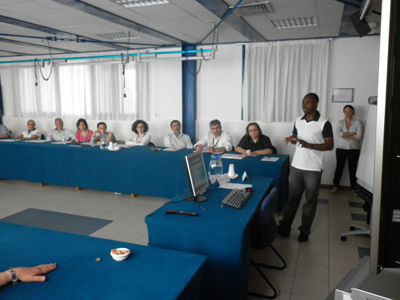 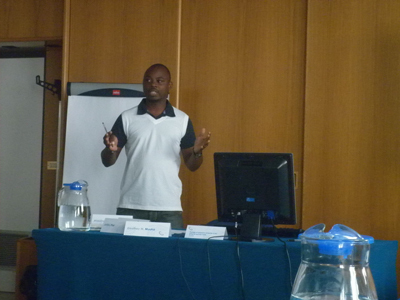 From 16 May to 13 June, Geoffey Muuka from the Central Veterinary Research Institute (CVRI) of Lusaka, Zambia, will take part in a training course at the G. Caporale Institute in Teramo. 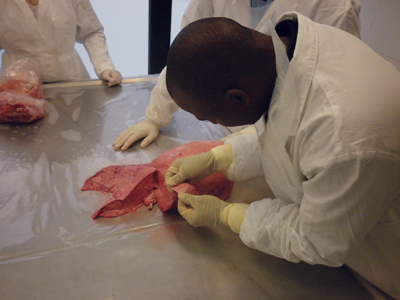 Mr Muuka's visit is among the scientific cooperation activities between the Institue and the Zambian CVRI, relating to contagious bovine pleuropneumonia (CBPP), an infectious disease tha taffects cattle and occasionally domestic buffalo, causing serious financial loss to breeders. 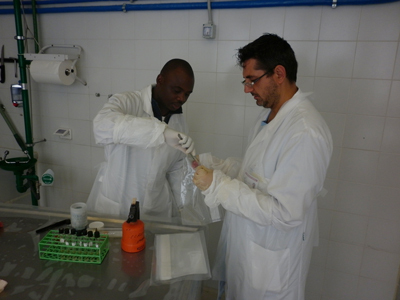 PPCB, an exotic disease in Italy since 1993, stilll represent one of the main health problems for the development of African animal husbandry. 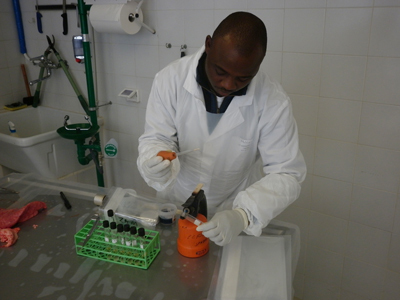 The coopeartion between the Institute and the CVRI in Lusaka relates firstly to the stuy of pathogenetic mecnaimsms of the diseasede for he development of new diagnostic and vaccination tools, and t the trasfer of the expeience gained with local information systems and animal identification. 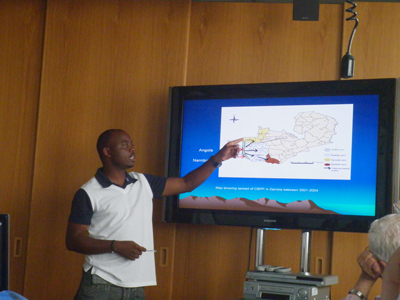 During his visit, Mr Muuka gave a seminar on the epidemiological situation and control sraegy for PPCB in Zambia, emphasising the importance of coopeation between the two reseraech institues to improvr some critical factors relating to the eradicatoin of the disease..